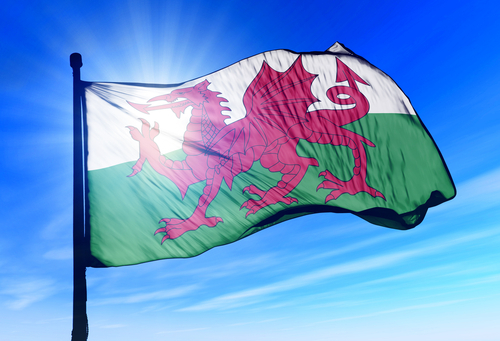 Welsh is a language spoken by approximately 3/4million people – mostly within Wales (UK), although there are lots of people scattered around the world who speak Welsh. Only 16% of the population of Wales claim to be fluent in Welsh, although where I grew up – the Lleyn Peninsula – it’s more like 60-85%. I spoke Welsh and English at home (Welsh with my father, English with my mother) and a large amount of my schooling was in Welsh (including my GCSEs). Visitors to Wales are often astonished not only to see all our signs in both Welsh and English but to hear it being spoken in shops and pubs. If you come to Pwllheli or visit some of the darker parts on this map, you’ll realise that the Welsh language is alive and well! I grew up speaking Welsh, as well as English. Over the years I’ve been surprised to find myself approached by people wanting to learn Welsh – be they English, Czech, Hungarian or Brazilian. Most of them are not living in Wales (or planning to) but have developed an interest in it. It might be its similarity to Elvish, who knows. Either way, this growing interest has inspired me to start teaching Welsh over Skype, and I’ve been adding a few lessons onto Youtube to get you started. Feel free to have a look at to get in touch if you’d like some Skype lessons!